It’s obviously [nearly] August since I’m writing about tea BUT the thing about my Great Aunt Dulcie is absolutely true. What a babe. Everyone, quick, turn the kettle off. You’re making tea all wrong. And I know these pieces come out every few months when there’s a lull in the news and we need something to stir (lol) us up, but it’s just happened again – a science chappy has issued instructions for the perfect cup. Dr Stuart Farrimond has four rules when it comes to tea. Never drink it from Styrofoam; use a red or pink mug (this apparently makes it taste sweeter); filter the water to prevent scum; brew it for five minutes. And while I am with Dr Farrimond on the scum front and loathe that little shadowy skin that skirts across the surface of your tea sometimes, I’m not totally down with his other stipulations. Like many (most?) households across Britain, tea is a big deal in our family. My mother, a generally rational human, has always insisted on having her milk in first. ‘Milk in first?’ I hear you Lady Bracknell sorts shrieking to yourselves. Whatever next – bought marmalade? Well, yes. I know it’s supposed to be a tiny bit common (supposedly, in the olden days, the working classes put the milk in first because they had dodgy china which would crack if you put boiling water in without it), but Mum says this process ‘cooks’ the milk. And she can tell if you forget and put the milk in afterwards. The tea will have to be thrown down the sink and another cup made. I know because I have done this several hundred times. As tea habits go though, it’s perhaps not as odd as my late great aunt, Dulcie. A former army land girl, she used to make a boiled egg for her breakfast every morning. Egg cooked, the great aunt would pour the hot salty water from the pan into a thermos, which she would then use to make multiple cups of tea throughout the day. Salty, eggy tea. Mmmm. ‘For goodness sake, don’t say yes to a cup of tea,’ Mum would tell my siblings and I when we went to visit her. I have therefore inherited strong opinions about tea. I like a big mug, semi skimmed milk added afterwards so I can make it the right colour, no sugar. In the Tatler office, I have a personalised mug the size of a medieval tankard with ‘HRH SMC’ painted on it which, throughout the day, will be found sitting beside my mouse, lukewarm with milky tea. 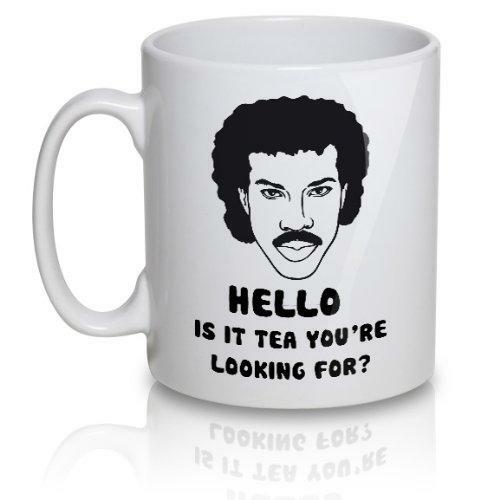 I can only drink tea from this mug. It vanished from the communal kitchen once and I sent out a stern email to the whole office only to find a sweet, new and entirely innocent member of the art department had used it unknowingly. I haven’t spoken to her since. But then tea is a deeply personal issue, isn’t it? The hue you like, the temperature, the shape of the mug, which kind of milk, whether you have sugar and so on. Or honey. Prince Charles takes his black with a spoonful of honey. The writer Alexander McCall Smith feels so strongly about tea (he likes loose tea) that he travels with his own teapot. It’s a great source of comfort, too. I have a sugary mug of tea when I’m hungover, and when I was mugged and punched on the street some years ago my first instinct was to put the kettle on. So, tea is highly personal and a boon to us all in hard times. And yet every now and then some nerd in a lab coat pops up and tells us how to make it. But I don’t see any scientists going round telling people how to pray better. So what I reckon is whether people like to drink it with the milk in first or the milk in last or the milk somehow lobbed in at the same time as the water, that’s up to them. Let’s not meddle. Each to their own and all that. Even if they are making tea with water that tastes of egg.